The Senate Committee on Health, Education, Labor and Pensions is due to vote on Marcus’s confirmation today, December 13, 2017. In keeping with our defense of free speech related to the Israeli-Palestinian conflict and our commitment to opening the debate on this issue in American society, Americans for Peace Now strongly opposes Marcus and calls on senators to vote against his confirmation. 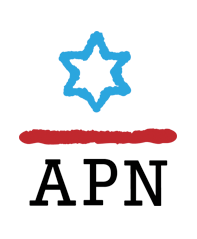 APN is a Jewish, Zionist, pro-Israel organization. It is the sister organization of Shalom Achshav, Israel’s preeminent peace movement. APN cares deeply about Israel’s future as a Jewish state and a democracy. We believe that a free, open discussion on Israel and on its government’s policies regarding its conflict with the Palestinians is beneficial for Israel, good for America, and should be encouraged by those who care about liberty and democracy both in the US and Israel. 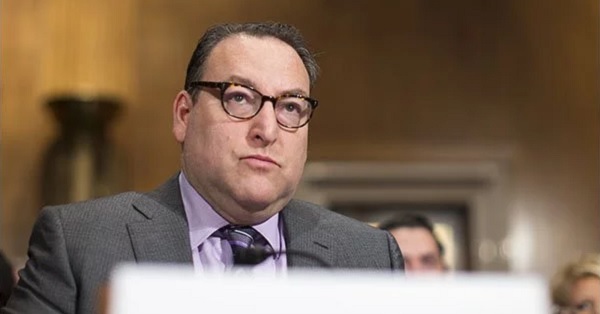 As President and General Counsel of the Louis D. Brandeis Center for Human Rights Under Law, which he founded in 2011, Kenneth Marcus has pushed the Department of Education’s Office of Civil Rights (OCR) to launch investigations of “harassment” of Jewish students on a number of campuses. OCR pursued complaints against four universities, alleging they had violated Title VI of the Civil Rights Act by not responding effectively to allegations of a hostile environment. All of these cases were dismissed. Marcus’s advocacy on behalf of the Anti-Semitism Awareness Act, under which the Department of Education would adopt a definition of anti-Semitism that includes speech critical of Israel, would curb free speech on campus. That definition is used by the State Department for the purpose of monitoring international trends. Its author has argued that the definition’s use by the Department of Education is inappropriate and would have a chilling effect on Israel-related speech on campuses. Indeed, this is Marcus’s precise intention. Even as OCR dismissed Title VI complaints against universities accused of allowing a climate of anti-Semitism, Marcus claimed victory for “creating a very strong disincentive” for criticism of Israel by students who would have to worry about their future job prospects. Obviously, Marcus’s concern for civil rights is highly selective and does not include the rights of students whose political views on Israel are at odds with his own. This makes him a terrible choice to be the Department of Education’s top civil rights official; indeed, he will siphon OCR’s resources away from pursuing legitimate civil rights complaints. President Trump’s nomination of Marcus fits a pernicious pattern. Time and again, Trump has chosen heads of agencies who have built their careers on opposing the missions of those agencies. Examples include naming Scott Pruitt, who had built his career on attacking the Environmental Protection Agency, as EPA Administrator; Mick Mulvaney, who derided the Consumer Financial Protection Bureau as a “sick, sad joke,” to head that agency; Betsy DeVos, whose dedication to public education is at best dubious, to helm the Department of Education; and David Friedman, whose commitment to the settlement enterprise and opposition to a two-state solution to the Israeli-Palestinian conflict stand in opposition to long-standing, bipartisan policy on Israeli-Palestinian peace, as US Ambassador to Israel. Unfortunately, Marcus is the latest proposed addition to what is more correctly described as a wrecking crew than an administrative team. APN calls on all who prize free speech on university campuses and oppose conflating criticism of Israel with anti-Semitism to join us in opposing Marcus’s confirmation.